What Is a Wild Turtle? Wild turtles are turtles that are found in the wild, as opposed to captive bred turtles. While turtles sold in pet stores have been bred and raised in human care, wild turtles have spent generations living in their natural, outdoor habitats. Wild turtles can catch their own food, while a turtle from the pet store eats live feeder fish or pellet-based diets daily. If placed in the wild, a captive bred turtle would not know how to survive. Never set a turtle from the pet store “free” under the assumption that it will live a happier, healthier life. Many reptile experts and enthusiasts will tell you not to keep a wild turtle as a pet, and they are right. It’s the same reason you may be told not to keep a frog you found in your pond, or a bunny you found in your backyard. Animals that live in the wild are not used to living boxed-up in a tank, cage or hutch. They aren't used to taking food from humans, let alone the pellet diets sold in pet stores. Wild turtles are unaccustomed to being handled by people and to living in captivity. Wild animals only know freedom and day-to-day survival. Salmonellosis is the same disease you can get from eating under-cooked chicken, and is the reason that the sale of baby turtles was banned in 1970. Most importantly, wild turtles can carry parasites like tapeworm, and are known for carrying salmonella bacteria. People can get salmonella from turtles by touching them and not washing their hands thoroughly afterwards. Salmonellosis is the same disease you can get from eating under-cooked chicken, and is the reason that the sale of baby turtles was banned in 1970. 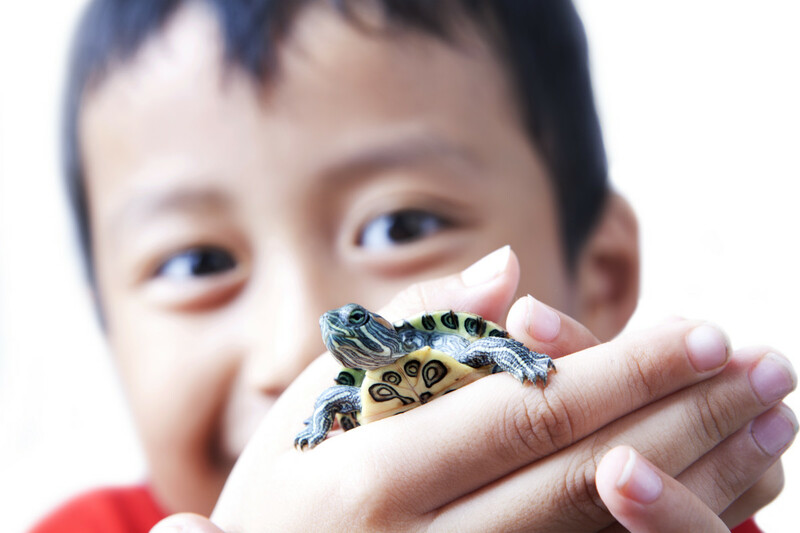 Children are the most susceptible, as they often forget to wash their hands after touching turtles. However, both captive bred turtles and wild turtles can carry salmonella bacteria; wild turtles may even carry less because they aren’t cooped up in small turtle tanks! Keep in mind that it is illegal to own turtles in several states, wild or otherwise. 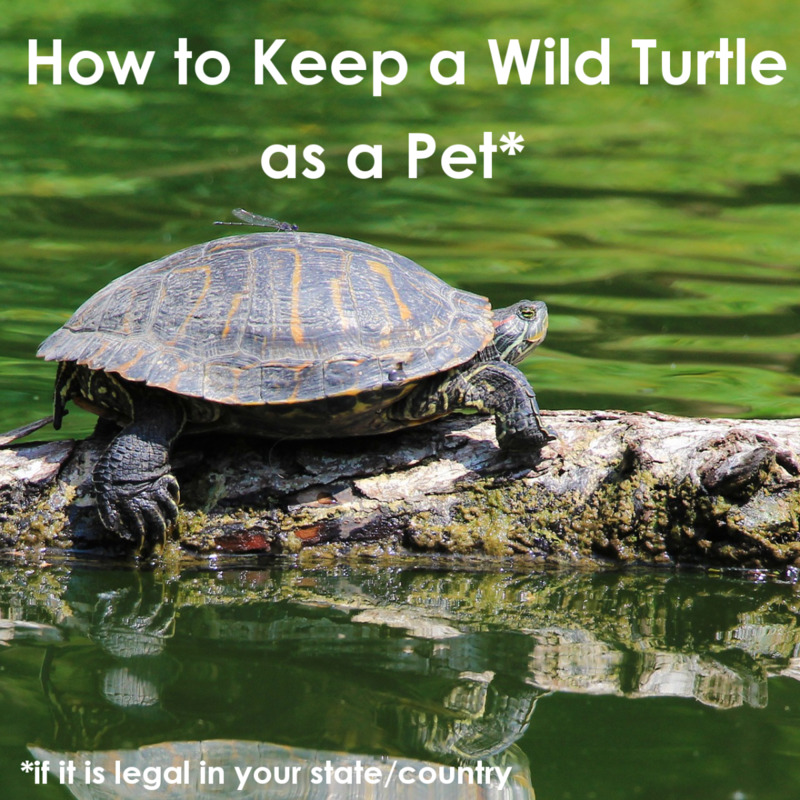 Look into your area's laws on pets and wildlife before considering having a pet turtle. And consider not removing a healthy wild turtle from its natural habitat - turtles are important to the ecosystem. 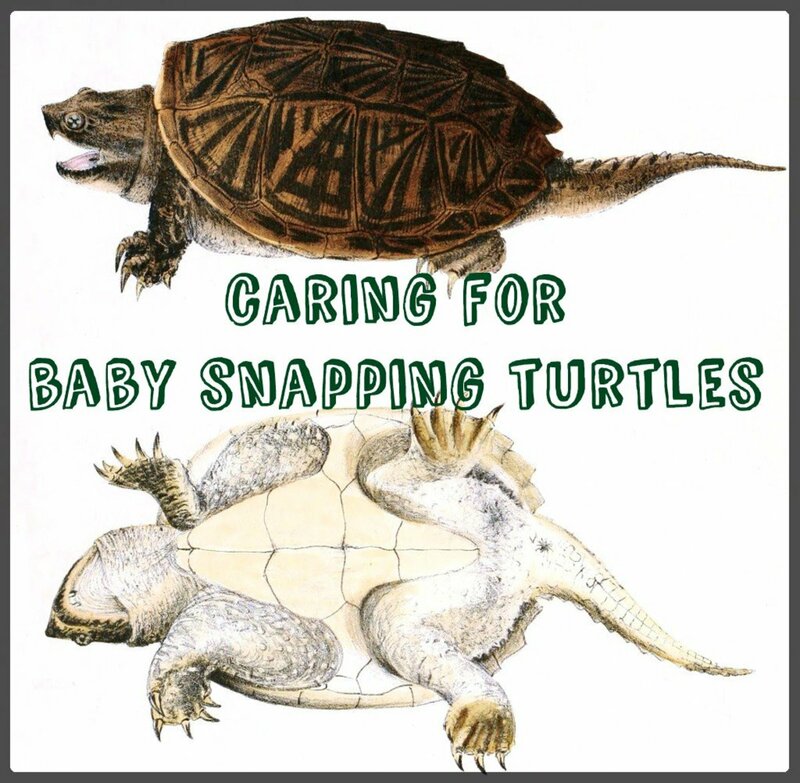 There may even be a turtle rescue organization in your area! If you do decide to keep a wild turtle, be an informed turtle owner: many people who take home wild turtles do not understand the care that goes into owning a turtle. Keeping it in a fishbowl in the darkest corner of the room wouldn't be appropriate, just as keeping it in a tank without a filter or lamp would be wrong. Turtles need a large aquarium, along with a water filter, heat lamps and other accessories. A turtle’s home makes all the difference in its quality of life. Turtles require a large aquarium that can accommodate their size as they grow. 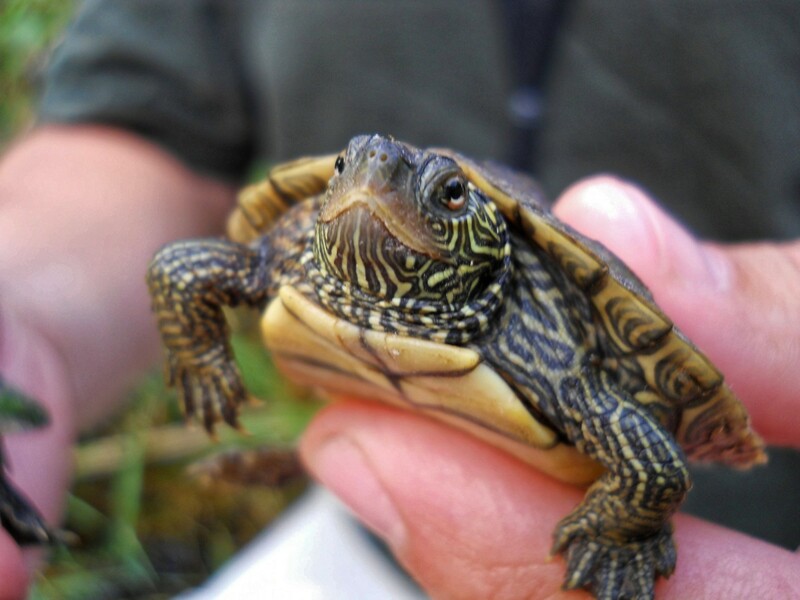 Most aquatic turtles (like red-ear sliders or african sidenecks) will grow up to twelve inches - isn’t that big? Remember that to stay happy, your turtle needs room to swim around. Wild turtles are used to a lot more freedom, so don’t cramp them into the smallest tank you can find. PetSmart™ recommends at least a 55-gallon tank for one aquatic turtle. If your tank doesn't come with a screened cover, be sure to purchase one - turtles can escape and fall out of their tanks! Just like fish, turtles need a clean water source. I recommend this type of water filter because it can sit in shallow water, or suction to the tank at higher water levels. 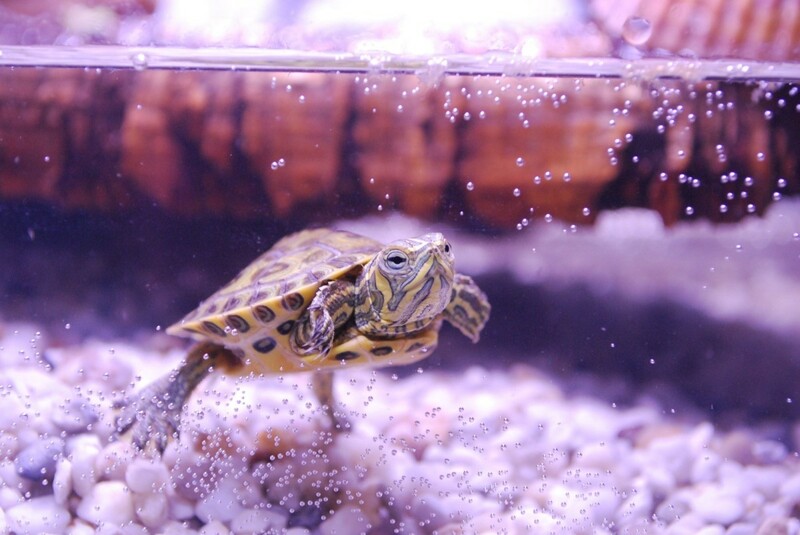 Not only will a filter keep water cleaner for longer, but it will keep your turtle healthier and happier. This doesn’t mean that you will never have to change the water in your tank; water changes should be done at least monthly, while filters should be rinsed weekly to keep the water clean. Some turtle owners change their water as frequently as every week or two weeks; if the water looks murky, your tank may need to be cleaned! Turtles have special needs when it comes to the temperature and humidity of their habitat. In a typical turtle tank, the water should remain between 72 and 77 degrees. To maintain the water temperature, you need an underwater heater for your tank. Underwater heaters automatically maintain the optimal water temperature and should always be kept running. I prefer liquid crystal thermometers because floating thermometers fall apart on me. These thermometers stick to the side of the tank, and you can use multiple to monitor the water temperature and basking lamp temperature. Turtles cannot store vitamin D3, and require twelve hours of ultraviolet light (UV) per day. Be sure to get a UV lamp for your turtle to keep it healthy and help it grow! You'll need two thermometers in your turtle tank - one for the water temperature, and one for your turtle’s basking spot. Turtles need a warm spot to bask during the day when they are awake and active. Most pet stores supply heat bulbs in the reptile section for this purpose. Your turtle’s basking spot should be as warm as 90 to 95 degrees. Heat lamps should be turned off at night to provide cooler nighttime temperatures of 65 to 75 degrees. Many new turtle owners don’t know that their aquatic turtle needs twelve hours of ultraviolet light per day! Turtles are naturally active during the day; in the wild, this is the amount of ultraviolet light they would normally receive. To replicate this setting indoors, you can purchase a UV (ultraviolet) lamp from your local pet store. There are also heat lamps that function as UV lamps. Using these bulbs reduces clutter on top of your tank and makes your life easier. You can line the bottom of your turtle tank with gravel for decorative purposes. Try to use rocks that are larger than the turtle's head - accidentally ingesting smaller gravel can seriously harm the turtle. You can also purchase a floating dock for your turtle to bask on. These surfaces suction to the side of the tank and detach easily for cleaning. To further decorate the tank, try adding branches, plants or other turtle accessories. These are not required, but can give your tank a more natural look. A wild turtle might enjoy a more natural environment! Should people keep wild turtles? You should clean the gravel in your turtle tank at least once a month. Food debris and other waste tends to sink between the gravel and dirty the water. Gravel vacuums are sold in most pet stores in both the aquatic and reptile sections. If you don’t have a gravel vacuum, you can dump out the gravel and rinse it in a strainer under warm water (though it will take longer). What is important is that the gravel is cleaned of debris and bacteria. Remember to clean your other turtle accessories as needed - the cleaner the tank, the lower the probability of getting and spreading salmonella! Keep in mind that turtles, whether found in the wild or bought in a pet store, are a big commitment. Turtles can live anywhere from ten years old to forty years old to one hundred years old. The lifespan of a turtle depends on the breed, so do your research before deciding to take in a wild turtle. If you are not prepared to care for a turtle for that long, reconsider your decision. If your children want to keep a turtle, explain to them why they are such a big commitment. As opposed to captive bred turtles, wild turtles can become both stressed and depressed when taken from their natural environment and put in a tank. Wild turtles are not used to human contact and can suffer from the experience. If you want a turtle that will enjoy its life swimming in your tank and being handled by people, getting one from a pet store or other seller is the way to go. If your wild turtle seems overly stressed and unwell, it may be best to return it to its natural habitat. This guide helps you narrow down what type of turtle you have caught or found by checking off unique patterns and textures on the shell and body. 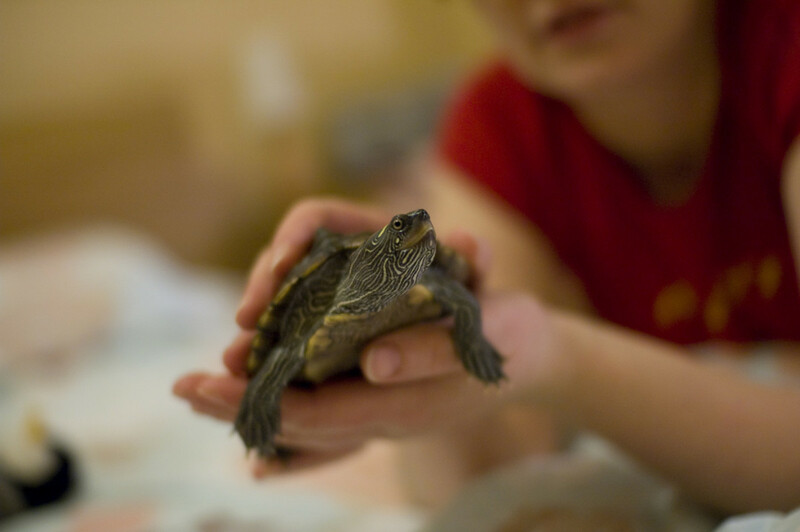 This online care guide has information about your turtle's diet and feeding habits, as well as housing, substrate, lighting and other recommended supplies. I found a baby turtle on the side of the road. I put it in an inch of water, and then put a heat lamp over it. I want to transfer the turtle to our old fish tank, but I do not think the filter will work in such shallow water, and the temperature water heater is broken. What should I do until I can find a new one? Most pet stores with a reptile section sell filters that can sit in shallow water, or can be suctioned to the tank to match the height of the water. You can also order one online. For now, the fish tank is definitely better than a cooler, even without a heater or other accessories. I found a wild turtle on a big freeway about to get run over. My dad has taken care of wild turtles before but I'm worried, what should I do? Did your dad take it in, and that's why you're worried? If he's had experience caring for wild turtles in the past, he's already ahead of a lot of would-be wild turtle owners. If the place you rescued it from is near a body of water where you believe the turtle came from, you can always transport it there and let it go. I'm sure the turtle would appreciate it, as well as being saved from the freeway. I found a red-eared slider in my front yard. I put it in a blanket. What's the next step? 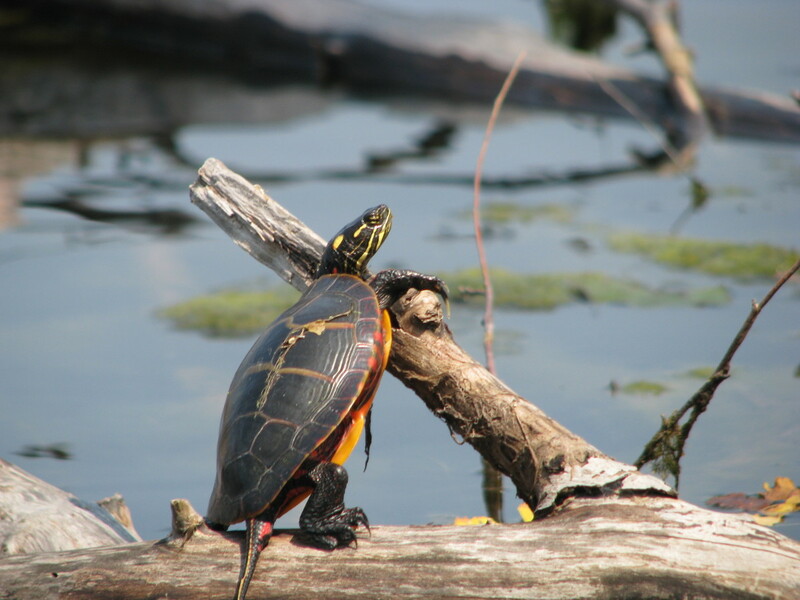 Red-eared sliders are semi-aquatic, which means they spend part of the time in water. If you plan to keep caring for this turtle, it's going to need a large tank, a water filter, a water heater, a basking lamp, and other accessories. Most pet stores sell these in their reptile sections. An aquatic turtle kit where the tank comes with everything can help you save money while getting everything the turtle needs. My pool is murky due to a broken motor. A turtle fell in about a week or so ago, and I can't get him out. We can't see him when he goes under water. I feel bad for the turtle. Do you have any recommendations? Have you tried throwing a net over him when you catch a glimpse of him in the water? Does your pool have a ladder to get in or steps? If it has steps, you might be able to lure the turtle out with fresh lettuce near the steps outside of the pool. He's going to need food eventually. What do red-eared slider turtles need to live as pets? They need the basics - a large tank, water filter, water heater, basking and UV lamps, substrate, food, and any decorations you want to add. A lot of pet stores sell kits that come with these. It would be worth it to get a larger tank kit - you turtle might be small now, but it is going to grow, and can live up to thirty years. What type of food should I feed my turtle? 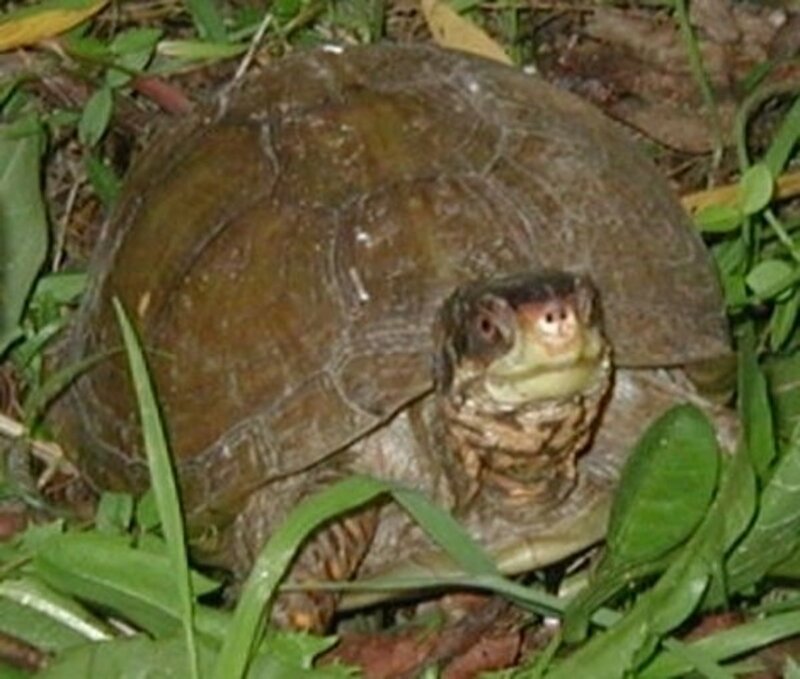 It can depend on the species, but most turtles will eat small fish (feeder fish), crickets, vegetables (like lettuce), and other things. 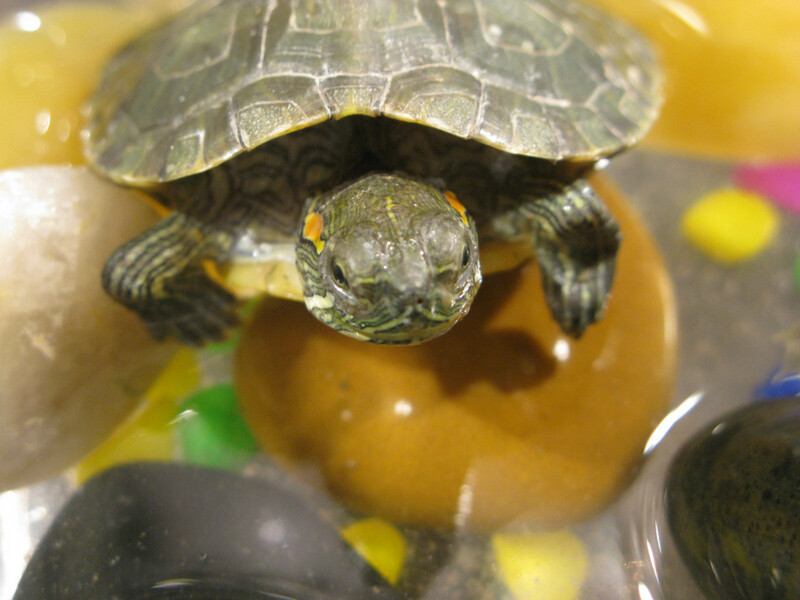 Pet stores also sell turtle food in the form of sticks or pellets, as well as vitamin supplements. I saved a small spiny soft turtle from being slaughtered for its meat. It's around six-inches long. Our country declared it an invasive species, and says it needs to be terminated. That's why we can't release it in the wild, so I would like to keep it instead. It is not eating the blanched fish I gave it, and the pond isn't built yet because of its unexpected arrival. It's in a ten-gallon tank right now, without a filter. I'll try to install a filter tomorrow. What is appropriate to do in the meantime? As far as food, could you try feeding it small live fish (like feeder fish sold in pet stores, if you have access to that), worms, or crickets (either alive or dead, they sell these in pet stores too). I bet it will love the pond you are building it. Just be sure that there is no way for the turtle to escape your pond area and go out into the environment - if it is seen as an invasive species in your area, it could do serious harm to your local ecosystems. My dad brought home a pond turtle he found on the street, what should my next step be? The first thing I would suggest (out of necessity) is releasing it back into the wild where it was found. If you are unable to do that at this point, or are set on keeping it, you need supplies - a large aquatic tank, water heater, water filter, basking bulb, etc. A lot of pet stores sell turtle kits, where the tank comes with these things included for a decent price. It is also worth trying to research what type of turtle it is based on its appearance, to see how big it may get and if it has any other requirements. I really want this turtle I found in a lake. It is a baby painted turtle, but I don't know if I am ready for the commitment. I already have two fish that I have kept alive for two years, though. What should I do? If it is living happily in the lake, I would leave it be. Turtles are definitely a more significant commitment than fish. They would need a big tank, water filter, water heater, basking bulbs, and live a lot longer. And as a baby, it would need access to all of these things to grow up healthy. 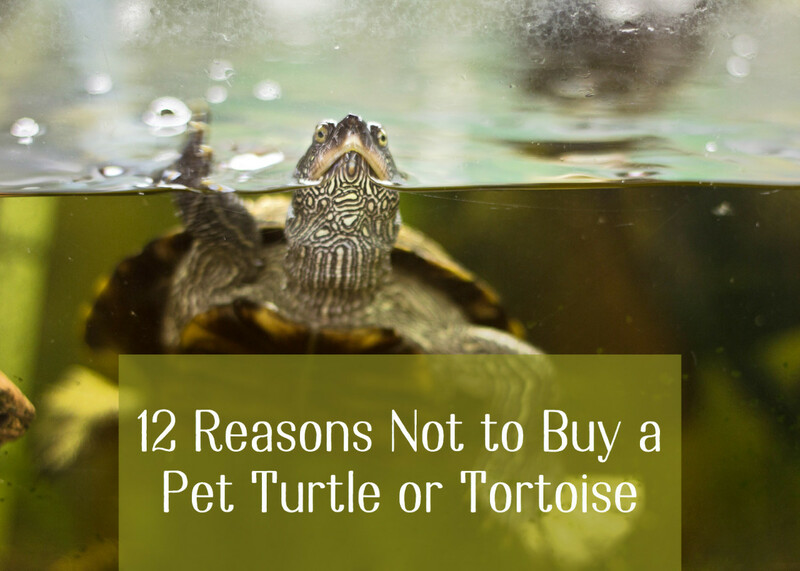 I'd make sure you can commit to owning a turtle, whether wild or domestically raised, first. Should we move our three outdoor turtles to our new home? I found a baby red eared slider turtle in my backyard pool. I keep it in a shoe box, but it keeps trying to get out. What should I do? 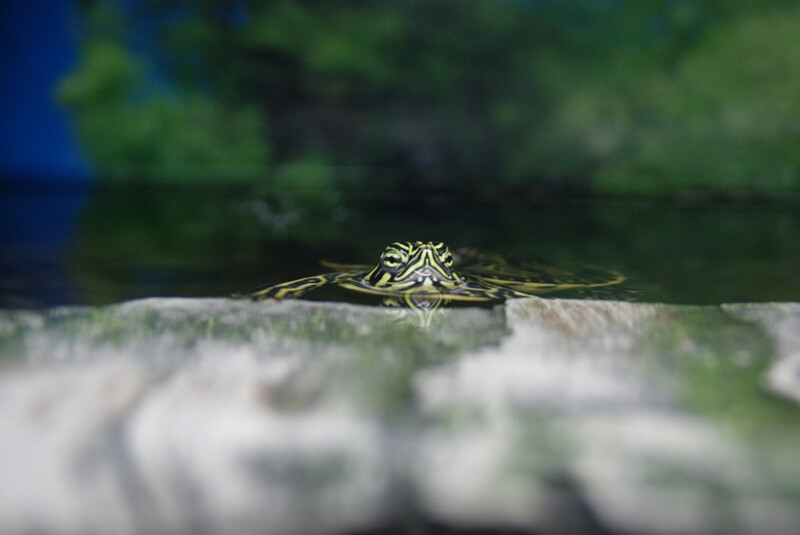 Red-eared sliders are semi-aquatic, which means they spend part of the time in water. It cannot survive in a shoe box with no water (among other things). 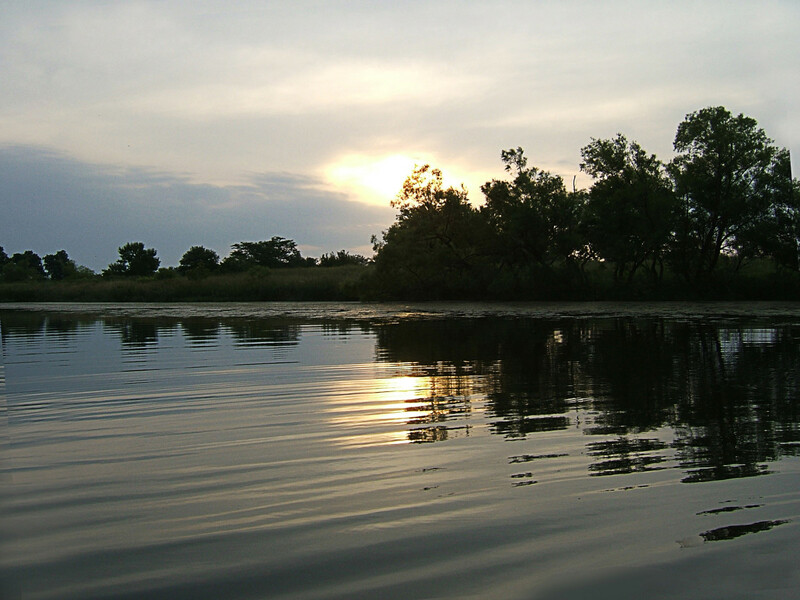 Do you live near a body of water where it may have come from, like a lake or pond? If you don't know where it came from, is there a turtle rescue you can hand it over to? If you plan to keep caring for this turtle, it's going to need a large tank, water filter, water heater, basking lamp, and other accessories to survive and thrive. Can a wild turtle be released in the wild after being kept in a tank for several years? There are differing opinions on this, but since it came from the wild in the first place, it may be all right. If it has been living off of a pellet-based diet, you may want to try feeding it fish for a bit first, since that's what it would be living off of. And releasing it into the same environment, it originally came from. I found a baby olive ridley turtle on the beach near the ocean. They do baby turtle releases in the area so it must have slipped away. I thought it was nearly dead from the sun and heat. Brought it home and put it in shallow water, took awhile but now it is moving around. What should I do with this baby olive ridley turtle? I am afraid if I take it back to the beach it will just get eaten by birds. Is there a wildlife rescue organization or center in your area that you can contact for help? Maybe they can safely release it back into the ocean, or care for it until that is possible. How can I tell if a turtle is a male or female? This can depend on the type of turtle, and is easier to do with adult turtles. Male turtles tend to have longer claws than females, and may also have a V-shaped notch on their shell where their tail is located. Adult females also tend to have longer shells than adult males. The underside of a male's shell may also curve a bit inwards, while the underside of a female's shell tends to be flat. My dad bought a tank for my turtle, but I don't think it's big enough. What should I do? Can you find out how many gallons the tank is? If the turtle is small right now, a smaller tank may be able to hold you over, but you are going to need a large tank in the future. They can eat a lot of things! 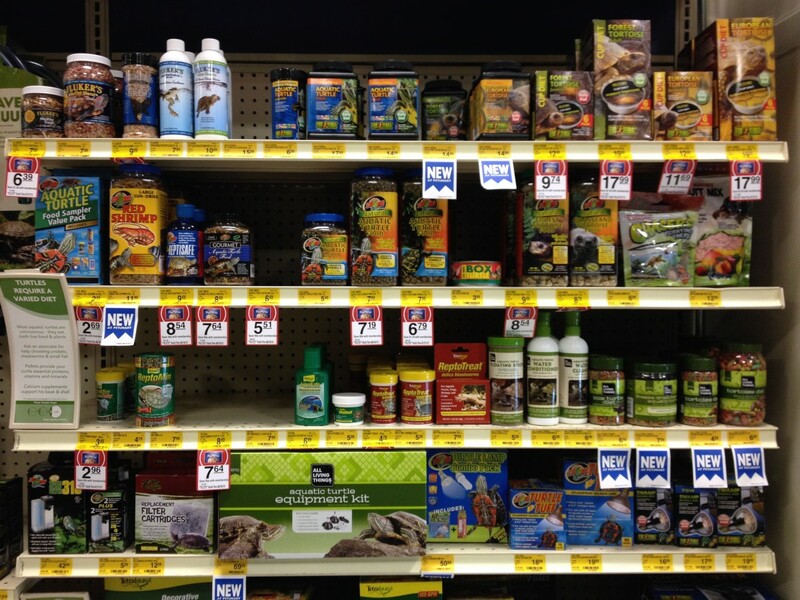 Most pet stores sell pelleted turtle diets. They also eat comet goldfish (feeder fish), and can be given dark leafy greens and cut up vegetables. I rescued and kept a wild river turtle for over 7 months. I have always intended to set them free again when they are a bit bigger, as the lake they’re from has fresh water crocodiles. Do you have any tips for setting them free? Is there a better time? If it's winter where you are, now may not be the best time (as many species of turtles hibernate in the winter). Springtime may be a better time to release. It's good that you plan on releasing in the lake the turtle came from. just put my temporary pool away and found a nest of baby turtles that have apparently hatched and have been trapped under the liner they since I put the pool up in late June. There are 7 of them about the size of a quarter and seemed to be hibernating there. Well the nest is now exposed and they are awake and crawling around. Its November 11th here in Buffalo NY and the temp is 33 degrees now. I am afraid to just set them free this late in the season as I fear they are too 'young' prepare for winter, especially since not properly nourished and winter just about already here. what is the best way to handle this? Just let them go and figure it out, or re-bury them in a safe place (how deep and any special instructions) or take them in for the winter and care for them and set them free in the spring? @Curtis I'm glad you plan on letting them go! @Cat Why catch food? If you can, getting food from a pet store would be much easier. Depending on the size of the turtle, they have feeder fish and even small turtle pellets. 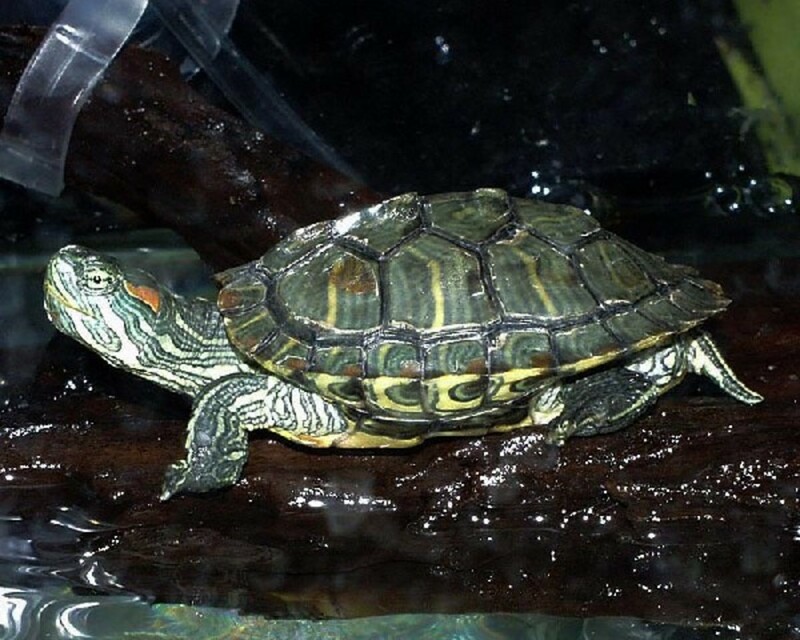 What would be the best way to cach food for the red ered slider turtle? It varies between different types of turtles, and won't be obvious until it is adult size. Male turtles tend to have longer claws than females, and can also have a V-shaped notch on their shell where their tail is. There are other methods, but with such a young turtle you may not know for a while. Try researching online to figure out what species of turtle you have, and see what they eat specifically. Some stores have very small pellets designed for baby turtles. You can also try leafy vegetables (lettuce, cabbage) but it will have to be cut up very small. How do you find out if a turtle is a male or female??? And also my turtle I found on my driveway was stuck in the rocks and I helped it it was about the size of a pennyy and it was all route and happy but now it won’t eat or anything. How do I get it to eat? @Sharon Etienne Maybe she is gravid (egg-bound)? Apparently, females can carry eggs whether there is a male around or not. The symptoms included a change in eating habits and basking habits. If you look it up and it sounds familiar, I know you can try to get her to lay the eggs, or take her to a vet if that fails. I'll look for some links to send if you can't find anything - email me via my profile if you like. We have an approximately 50 + year old female, south american wood turtle, as we are told, that we keep in her own aquarium, appropriately we hope. However after 15 years together, she seems to be changing her behavior. Climbing on her log, when she only ever has dwelt inside of it, eating less or waiting for food, which has never been her norm etc..Any thoughts would be appreciated. I had a wild turtle and his name was raph we let him go in the same place we foind him after having him fot a week and he came right back to his tank and sat there cause he could not get in. We had to force him to swim away in his natural home and he never came back luckily. Now i have 10 wild turtles in my yard and 1 of them has 1 toe! Im thinking of keeping 2 of the babys they are as big as a toonie and i named them shaylah and orea. Im adicted to them i luv them so much and i will do enything in my power to adopt them but if the get streased or if this is to much work i will let them go in a heartbeat for there safty and happyness. Thx so much for this articme it really helped me i will care for them and send them all my luv. You are very welcome. That is cool. I asked because my hometown doesn't have a pet store--shows you how rural we are. And I appreciate you looking at my hubs. And thank YOU SO MUCH for the follow which I will send you my personal note of thanks in a few days. Thank you so much! While I don't own a turtle, I'd like to help people who bring them home from the wild and insist on keeping them. And of course I'll check out your hubs! Turtles are one of my favorite beings. I appreciate how you taught us how to keep one as a pet. You are a very caring person.